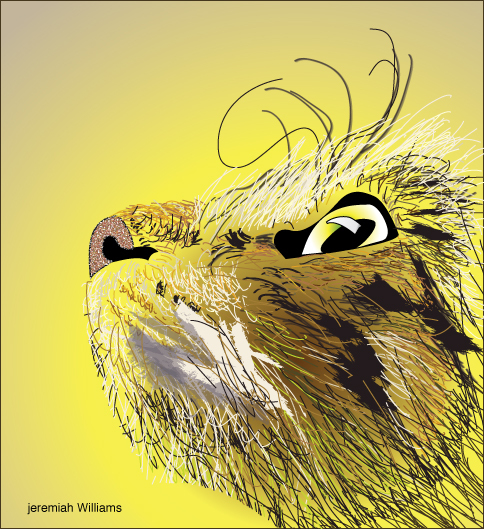 Here is a cat face I illustrated . I just borrowed the Intuos 5 which is now known as the Intous Pro from my School and I have to say, it was an amazing experience. If you would like to get the most out of Adobe Illustrator and Adobe photoshop obtain a tablet. Wacom is really the industry standard but I nave seen other brands floating around cyberspace. Good luck!! AT&T store Bartonsville PA, September 20th.